Get up close and personal with the best of the Isle of Wight’s stunning scenery; journey from the beautiful chalky cliffs of the west coast to the lush green rolling hills of the east at the 2019 Isle of Wight Walking Festival. 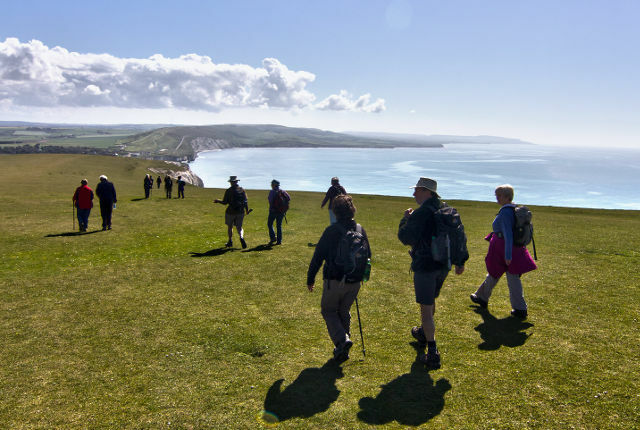 The Isle of Wight Walking Festival returns this May (4th-19th). Organised by Visit Isle of Wight, it brings with it 50 new walks and around 100 walks to choose from. You don’t have to be a seasoned rambler to join in one of the longest-running walking festivals – now in its 21st year and this year headline sponsored by Warner Lesiure Hotels – because there are walks for all ages and abilities. 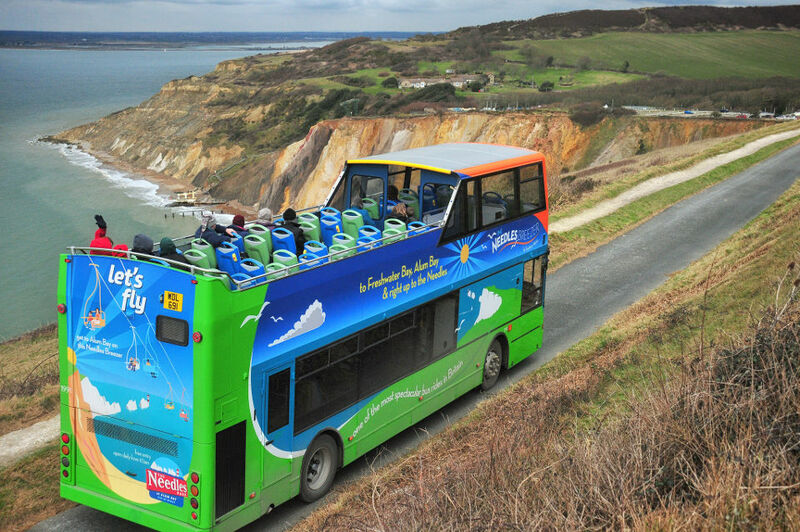 Whether you’re looking for something short or long, flat or hilly, beaches or forests or anything in between, you’ll be able to discover some of the unique routes with experienced local walkers and enjoy the fantastic programme that takes your right across our beautiful Isle of Wight. If you’re intending to walk with the kids, there are plenty of suitable routes to choose from this year. 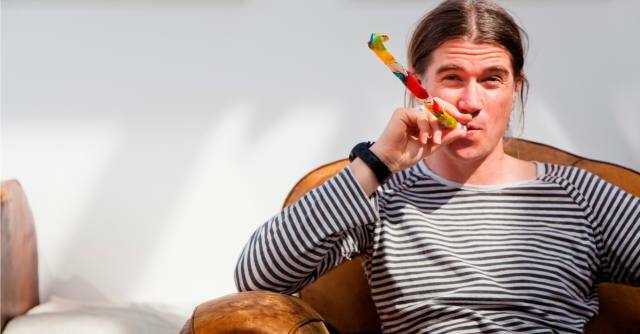 You could try ‘Robby’s Ramble’ – Taking place on Thursday 16th May, Robby (aka Radio one DJ and Island resident, Rob da Bank) will take you on a family-friendly walk from the quaint village of Shalfleet. You’ll head west through Bouldnor Forest – keeping an eye out for the infamous Red Squirrel – and finish back at Victoria Road for some well-earned snacks and drinks! “The Isle of Wight Walking Festival is a brilliant opportunity to get the whole family out into the great outdoors, something I spend much of life attempting to do with my own family! This year marks the 200th anniversary of the birth of Queen Victoria and there are several walks in the Programme that mark the bicentenary. 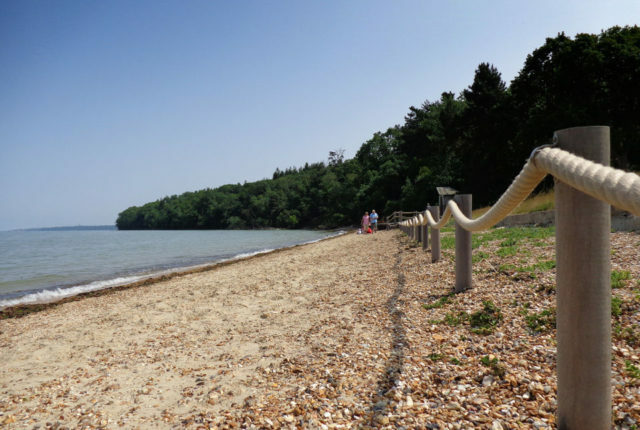 How about a gentle woodland walk on 9th May that includes the chance to walk on Queen Victoria’s private beach? Or perhaps the five-mile walk titled, “Victoria’s daughter wasn’t naughty” on 4th May will take your fancy. Princess Beatrice was companion and secretary to the head of the British Empire – on this walk you can learn of her life, marriage, children, widowhood, service and legacy. On 7th May you can join an historical walk through Queen Victoria’s East Cowes, looking at buildings and places associated with Queen Victoria, other than Osborne House. Or how about a four mile walk titled, The Whippingham Village Trail? This circular walk along lanes, through countryside and beside the Medina River, explores some of Whippingham’s historical past, especially the association with Queen Victoria. Did you know that you can get to all walking routes in the Programme by public transport? It’s amazing what you can see from the top deck of a bus and as they cover pretty much most of the Island, you can take in the glory of the countryside not just on your chosen walks. So why not make life easier and leave the car at home to explore the Island by public transport. As usual, the popular Isle of Wight Challenge and fundraiser Walk the Wight with Mountbatten return as part of the festival. This year the Visit Isle of Wight Travel Ambassadors are also leading some walks. There’s a leisurely walk from Ryde to Quarr Abbey, one of the Island’s most peaceful and serene attractions, or for the more adventurous, the circular walk around the Western tip of the Isle of Wight. 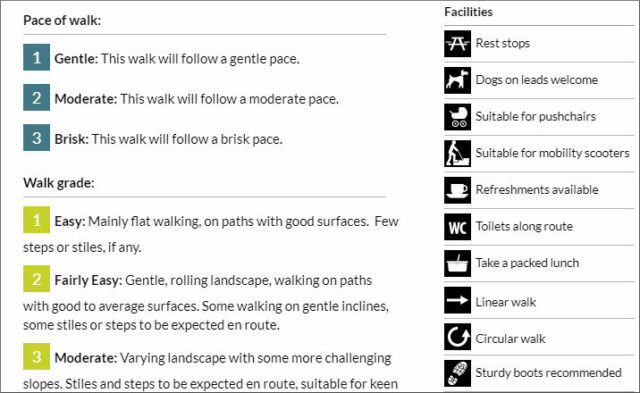 It’s worth noting that some of the walks have a maximum number of places and once they’re gone, they’re gone, so do make sure you look through the programme now to avoid disappointment. 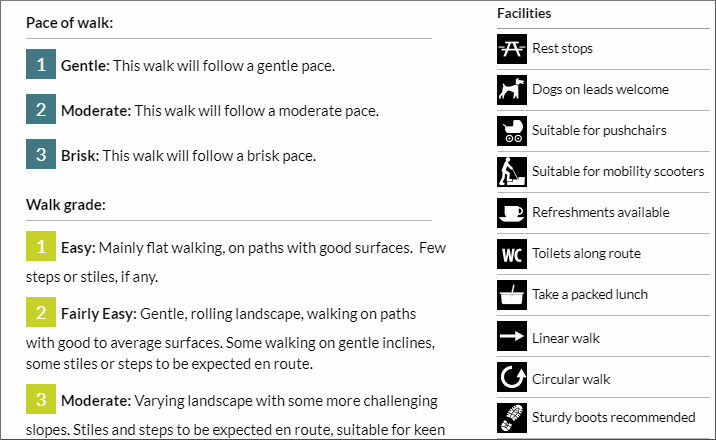 If you do need to book for a specific walk, it’ll say so within the walk info on the Walking Festival Website. For full details of all the walks and offers, pop over to the Walking Festival Website. You’ll find a wealth of information including a downloadable printable guide of all the walks over the Festival. There’s a very helpful key to all the icons used in the guide. 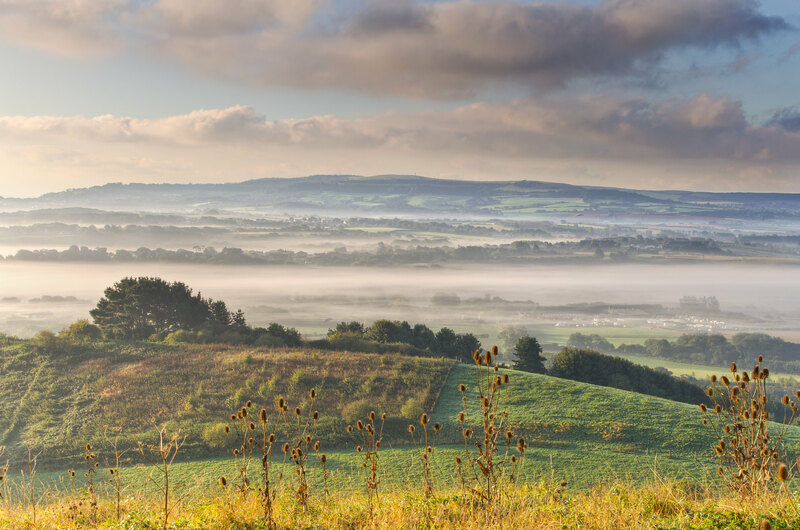 Lace up those walking boots and set off on your very own adventure through the English countryside!